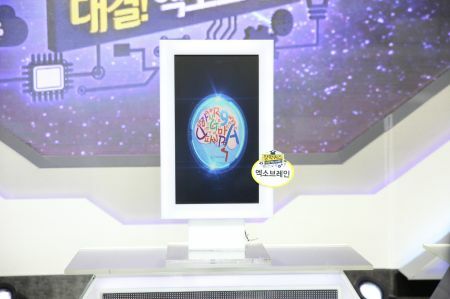 Daejeon, Korea, Nov 30, 2016 - (ACN Newswire) - Exobrain, a language intelligence software for communicating between human and machine developed by the Electronics and Telecommunications Research Institute (ETRI), defeated four human champions in a quiz show on EBS Korea. South Korea's Educational Broadcasting System is a children's educational television and radio network. 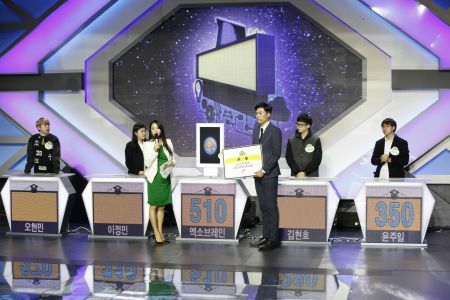 On November 18 Exobrain went "head-to-head" with human competitors on the television quiz show, "Janghak Quiz", which was recorded at the ETRI auditorium. Exobrain outpaced all competitors by scoring 510 out of 600 points, providing correct answers for 25 questions out of 30 (10 multiple-choice and 20 short-answer questions). The Exobrain defeated four human quiz prodigies: Mr. Yun Ju-il (finishing in 2nd place), a freshman of Seoul National University who attained a perfect score in last year's national college entrance exam; Mr. Kim Hyeon-ho and Miss Lee Jeong-min, the champions of the "Janghak Quiz" in the first and second half of 2016, respectively; and Mr. Oh Hyeon-min, who is studying mathematical sciences at KAIST and demonstrated his outstanding intelligence in a televised brain game. Here's how Exobrain works: once a question is given, the system first derives keywords. For instance, in response to the question: "What is the stone tablet found in Egypt and described in Empire of the Ants, a novel written by Bernard Werber, which enabled communication between humans and ants? ", the AI system searches such keywords as Werber, ants, communication, stone tablet and Egypt from its database before filtering tens to hundreds of possible answers. Next, it measures each potential answer against the question, assessing the reliability of each answer and finally submitting the most reliable answer. It only takes six to seven seconds to work out an answer. According to ETRI, the core artificial intelligence (AI) technologies of Exobrain are: Korean language analysis technology, to analyze the grammar rules applied to sentences as its human counterparts can do; knowledge acquisition and exploration technology, to learn and store linguistic knowledge and unit of knowledge (a subject-predicate-object structure) from vast amount of books, documents, Wikipedia articles, dictionaries, and so on; and natural language QA technology, to understand questions comprising multiple sentences and infer answers. Currently, Exobrain shows a level of performance similar to that of Watson, the AI system developed by IBM. In 2011, Watson appeared on the CBS quiz show "Jeopardy!" and defeated human quiz champions. Through further development, this AI system is now supporting the decision-making processes of medical, financial, and legal professionals. "The correct answer rate of Exobrain is 83% on average, which is higher than Watson's performance (70%) in 2011," says Dr. Dong Won Han, Vice President of ETRI, SW and Contents Research Laboratory. "Considering that Exobrain was originally developed for the Korean language, it will have further potential uses when it is upgraded." Press release distributed by ResearchSEA on behalf of ETRI.